For years, the Chippewa Valley Roller Derby (formerly Chippewa Valley Roller Girls) has wanted to have multiple home teams. This is the year that will happen. On Friday, Oct. 12, the Chippewa Valley Roller Derby (CVRD) will be split into two teams: the Bad Axe Brawlers and the Sawdust City Rollers. Interested skaters from those two teams can try out for the All Star team, which will travel and represent Eau Claire for competition and ranking. “Eau Claire is a small city to have three teams,” said Rudi Barth (who skates as “8-Bit”), Coach and Vice President of the CVRD. 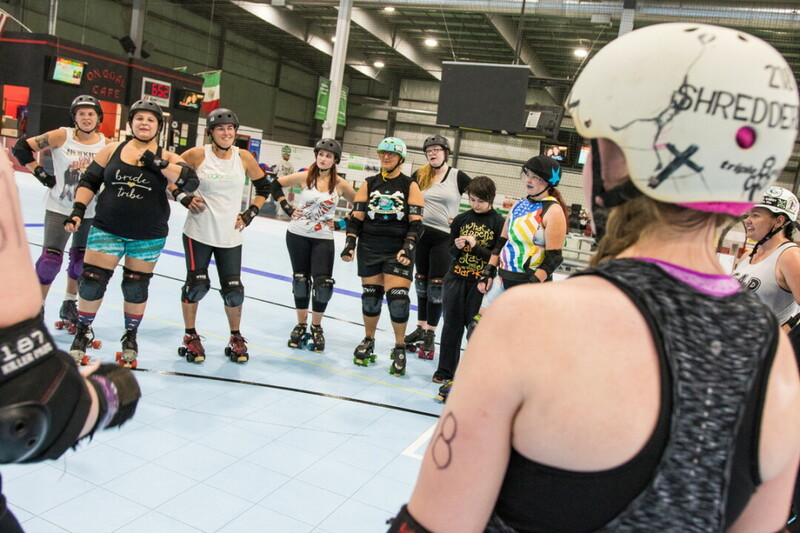 Barth noted that the Minnesota RollerGirls, a highly ranked and highly competitive team based in Minneapolis, has four home teams and an all-star team. Even as their teams and audiences are growing, however, CVRD is facing an unexpected challenge: they could very well lose their space at the end of the season. The YMCA recently bought the sports complex that has been the derby’s home. The possibility of a new floor more amenable to gymnastics than skating could mean that the three newly forged teams will have to relocate. The team continues to look for space and consider options. The teams are looking for at least 100 feet by 80 feet of uninterrupted concrete floor, with space around it for fans, Brockel said. In the meantime, this season is heating up. 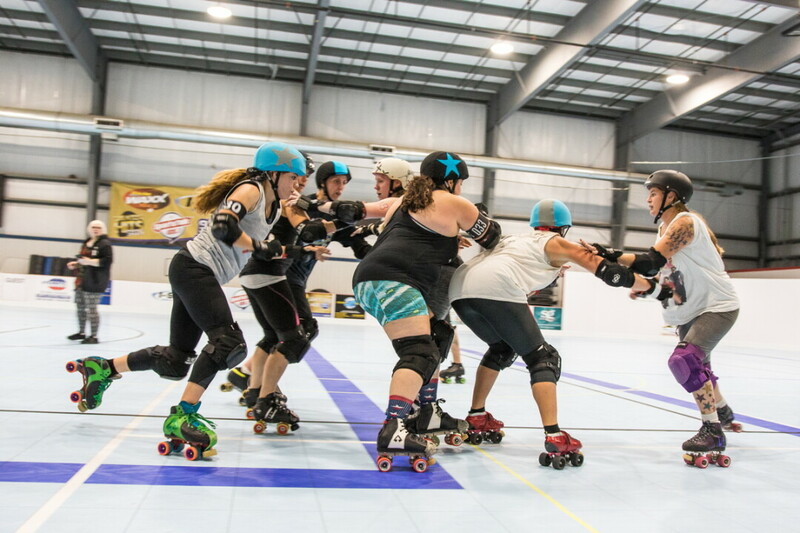 On Oct. 20, the CVRD will hold their eighth annual Bruise-A-Thon Roller Derby Mixer, hosting a blend of teams made up of skaters from other cities. After that, the first home game of the season will be on Dec. 8, with subsequent home games on Jan. 12, Feb. 16 and April 13. Anyone interested in learning to skate with the CVRD is welcome to stop by the Armory near the airport every Wednesday night from 7-9 pm.